Straight teeth are an important part of having a beautiful smile and with modern treatment options like clear and tooth-colored braces, metal orthodontia isn’t the only way to get the attractive smile you want. At West Houston Dental, we are proud to be your home for Invisalign® in Houston, TX. Comfort – Instead of using metal brackets and wires, Invisalign® re-aligns your teeth with see-through and custom made plastic trays. The trays are created out of smooth thermoplastic that does not cut or scrape soft tissue, like metal appliances can. Removability – Invisalign® seamlessly integrates into your life as well as your smile. Because the trays pop onto and off of teeth with ease, you can brush and floss your teeth as you normally would. The trays should also be removed during meal times, so you don’t have to worry about damaging your orthodontic appliances with food and beverages. Convenience – Invisalign® makes getting braces as hassle-free as possible. Instead of visiting an orthodontist every few weeks for an adjustment, Dr. Nguyen can provide you with several sets of aligner trays to switch out every two weeks and move your treatment forward. Invisalign® is popular among adults and teens who want more attractive smiles, but are hesitant about the commitment to metal braces. Orthodontics with clear braces eliminates many of the challenges presented by metal braces and still produces beautiful results. Dr. Nguyen has been providing Invisalign® in Houston for over 15 years. As one of the first dental professionals to be certified in this treatment in 2000, Dr. Nguyen is well versed in the best ways to provide straight teeth for patients with mild to moderate misalignment issues, such as crowded, gapped, or twisted teeth. Instead of uncomfortable traditional impression trays, Dr. Nguyen offers comfortable digital impressions. The position of your teeth is scanned by a computer to provide the detailed information Invisalign® needs to create each aligner in your treatment plan. Digital impressions do not involve bulky mouth trays and messy paste, helping to create a positive patient experience at our office. Our patients love being able to straighten their teeth without brackets or wires. 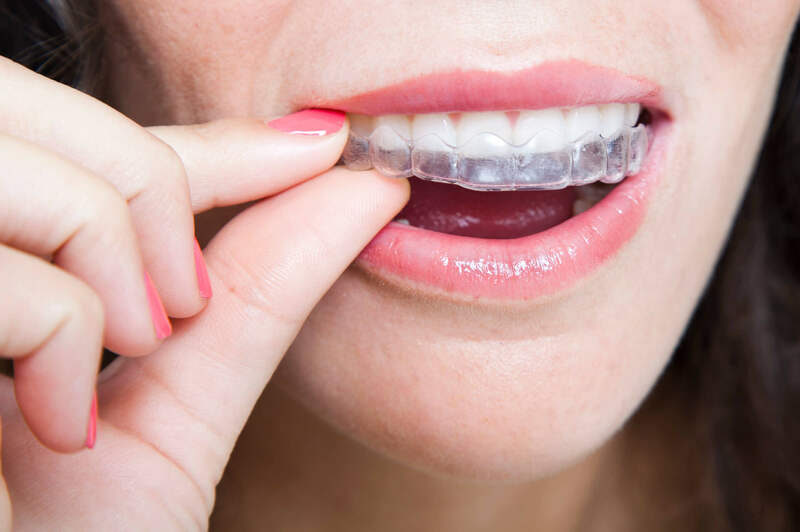 To help provide patients with the ultimate boost in smile appeal, our Houston Invisalign® dentist also provides free take-home teeth whitening gel to use in your aligner trays. The result is a completely rejuvenated smile that looks well-aligned and bright white. For more information about what clear braces can do for you, contact West Houston Dental today to schedule your Invisalign® consultation.